Its June 20th and I am still in Athens. What makes that funny is that if I still lived in North Carolina I would be in Kea by now. School in NC begins around August 15th and ends between the first and second week in June. But Amarandi had her last day at ACS on Wednesday and for some strange reason went back to school on the last day and even went to graduation which besides keeping us here in Athens, forced me to ask her "Who are you and what have you done with my daughter?" It seems fairly certain that we are going back to the states in September, the end of our year in Athens experiment and though there is a lot about the city that drives me crazy I am going to miss it. When you watch the problems mount day by day and the leaders are either powerless to do anything, or they just don't care, Athens feels like this bumbling mass of humanity rolling towards its uncertain future. Have you ever seen those clear plastic balls that you can put your hamster in and he can travel around the house without being stepped on just by walking forward. Well, Athens kind of reminds me of that but a really big one with millions of hamsters all going in different directions: tremendous energy but no way to harness and control the direction. And after being a part of it for a year you want to see if the ball goes over the cliff or if somehow all the hamsters miraculously start moving in the same direction to avoid it. 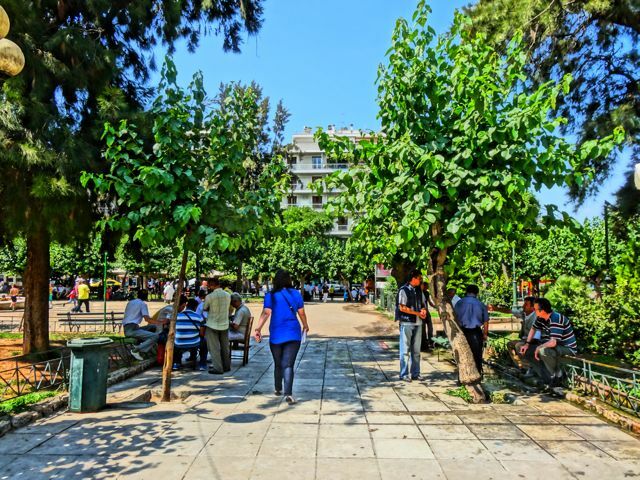 One thing I have discovered about Athens is that all the people who complained that Kypseli is this hot overcrowded neighborhood full of immigrants and criminals are full of it and have probably never been here. Every time I leave Kypseli to go downtown I am first of all amazed at the climate. There is a reason Kypseli was the new Kolonaki in the middle of the 20th century. Its elevation made the climate more comfortable. Downtown Athens is in a basin and seems to me several degrees hotter and more humid. I think I have gone downtown 3 times in the last month and each time I could not wait to get back to Kypseli. I enjoy the circus atmosphere of Gazi, Monastiraki, Plaka and Syntagma but it feels like one big hustle to me. 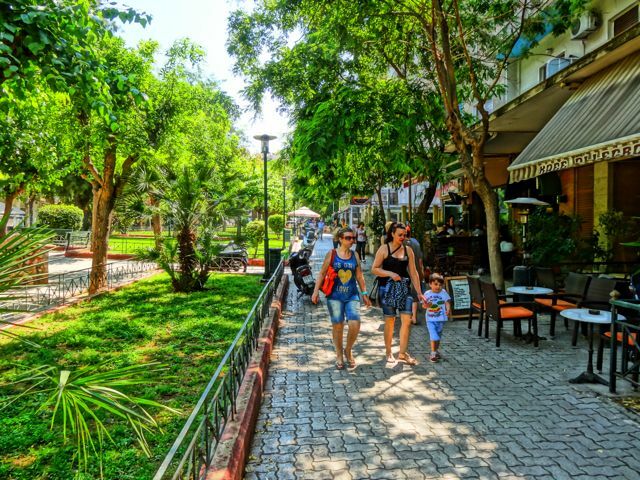 It is really, being the commercial center of the city, and now with the flood of tourists that people were sure would not be coming this year, leaving Kypseli for me is like going to another country. Last night we went to Cafe Boheme in Kolonaki, after not going there for about 2 months. They were having their usual Friday night festivities and there was a parade of beautiful women going to the bar for Cassie's Pinacoladas that she had advertised on Facebook and I said to Andrea that something does not feel right, like we are all going through the motions, playing monkey-see monkey-do in a bar that reminds us of what we know in America, music too loud, voices too loud, trying to be heard above the music and too many people in a small space. Andrea looked at me like she was going to tell me something very profound and then said "I didn't hear a word you said. Can we get out of here? The music is too loud!" So we jumped in a cab and in 5 minutes we were back in Kypseli. The night before I had gone out by myself when the apartment walls began to close in on me and I walked first to Foibos Cafe and had a Peraiko, micro-brew beer and watched the people pass by on Fokionos Negri, and then walked over to Alotino and sat in the square at Agios Giorgos, drinking Haufbrau Strong Bock and listening to Louie Armstrong while all around me people chatted quietly. 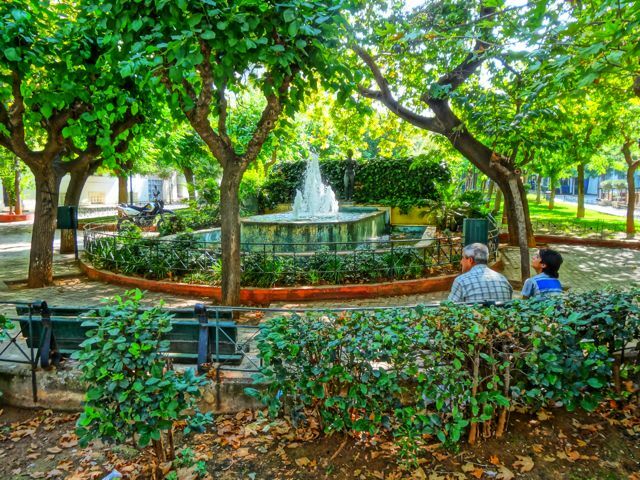 I realize that downtown Athens is madness and Kypseli is the land of calm sensitivity. Downtown Athens is New Orleans during Mardi Gras and Kypseli, Fokionos Negri in particular, is a quiet neighborhood in Paris. My travel agent friend said to my sister-in-law that he thought that I was losing it and that I was now sending tourists to dangerous places because I wrote a whole website about Kypseli and I recommended a fish restaurant in Platia Victoria. But because you are afraid of an area, that does not mean it is dangerous. I think the mentality here is that because there are a lot of Africans in Kypseli it is dangerous but you look at the police reports and the people arrested don't have African names. They have anything but African names. The Africans are the model citizens here. They work hard to make better lives for themselves despite having the deck stacked against them. Greece is a racist society. There I said it. Now let me explain it. The Greeks believe they are superior, not to blacks, not to Albanians or Turks. To everyone! In a way it is part of a massive inferiority complex just like you will put down someone because inside you feel inferior and putting them down brings them down to your level, at least to whoever you are talking to. I was having lunch one day with a friend and an African came to sell some carved giraffes and elephants and the guy I was with snarled and gave the African a look as if he were something less than human. But my Greek friend came from a generation that was given everything and squandered it, while the African was starting from nothing, walking the streets of Athens to make enough money to start a new life in Europe or to send money back to his family in Africa. Who deserves more respect? 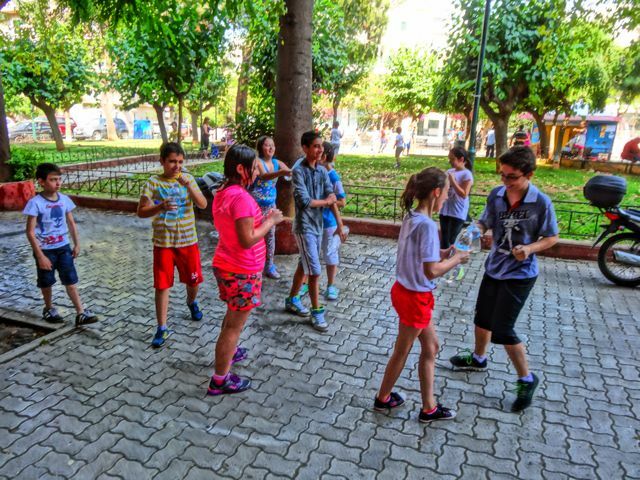 What are the most popular shops in Kypseli? Internet and Phone centers where you can wire money home, wherever that may be. 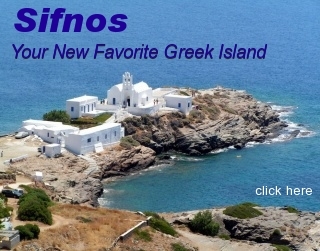 I got an e-mail yesterday wondering what was going on in Greece because a nightclub owner was killed, execution style. 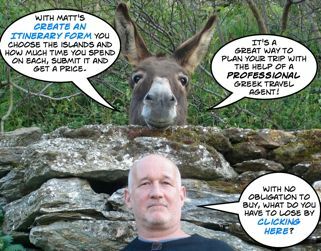 This is nothing new and if you read the Greek papers you know that protection, loan-sharking and murder has always existed in the Greek underworld and there is no reason it has to be a part of your world unless you happen to own a successful nightclub, gamble and owe money, or deal drugs. This is life in any city and really the only difference is that in Athens they seem to be a lot less reckless about it. You read in the paper that a shop owner was killed when two guys walked into his store, shot him 8 times and escaped on a motorbike and then the last sentence of the article is that it was known around the neighborhood that he had a lot of gambling debts. Compare that to the USA where rival drug gangs will open-fire on a crowd with automatic weapons to kill one guy. Not to excuse murder but there seems to be some kind of code at work here, the same way that when some revolutionary group plants a bomb at a bank they call the police to warn them so nobody gets killed and they do it at 4am when there are few if any people walking by who may get hurt. A couple years ago when someone shot at the US Embassy they called it a "rocket-attack". That looks impressive in the paper but lets call it what it is: vandalism. To shoot at an empty building in the middle of the night is not an attack. When I was in the 8th grade my best friend David Schuster, got mad at our teacher, Miss Snyman, and shot several windows in her class with his BB Gun in the middle of the night. He was making a statement. This was not an armed attack on the school or the American educational system by dangerous revolutionaries. It was a pissed off 13 year old boy with a BB gun. Most of what is going on now in Athens is in the same category, and it has always gone on. There have always been frustrated young people who believe, rightfully, that this society offers them nothing in the way of opportunity or a future and they are at war with the state, which pays other young people, known as cops, to fight back. Banks and ATM machines are soft targets in this war. As for any Crips and Bloods style turf wars going on in Athens between immigrant gangs, I know they exist because I read it in the paper. And they say that Agios Pendelimon is the center of this activity, just a mile or so from here. But I have not had to duck bullets on my way to buy kielbasa from the Polish delicatessens there and the ladies pushing the babies in strollers and the children playing in the square don't look too concerned about it either. We took a 2 day road trip and drove down to Kyparissi to continue the never-ending saga of my grandmother's property but despite meeting with the contractor it was more like a nice 5 hour drive to take a swim, have a nice dinner and then come back. But on the return trip we found some really cool places that if you are exploring the Peloponessos you should check out. South of Leonideon is a town called Poulithra(photo) on the sea, surrounded by high mountains right at the point where the Arcadians stopped building the road that would have connected to the road coming north from Kyparissi. The people from Kyparissi say the reason they stopped building the road was because they were afraid all the tourists would continue south. That may be, but those who come to Poulithra will find a long pebble beach and beautiful sea, several fish tavernas and a handful of hotels and rooms to rent. Probably in July or August it will be tough to find accommodation but weekdays in June or September you should be find. 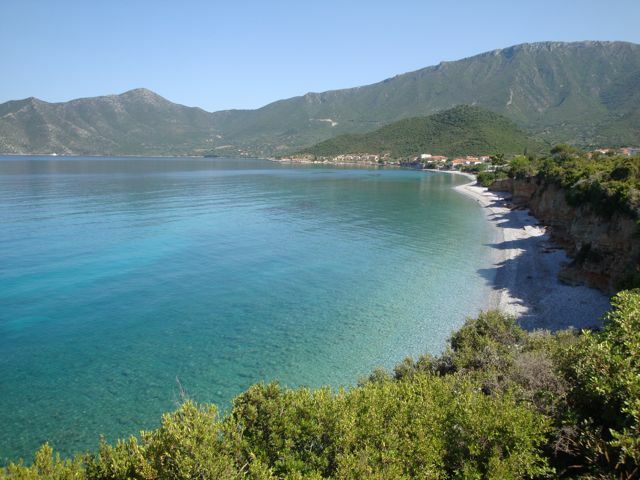 Of course it does not have the remote feel, nor is it as unspoiled as Kyparissi but for an overnight trip from Athens or a day trip from Nafplion, it is pretty unspoiled. Leonideon is a beautiful town too though it was so hot that all we did was drive around and take photos wherever we could. Leonideon or Leonidio is home to those purple eggplants you see in the laiki agora and also where they filmed Arcadia Lost with Nick Nolte, a movie I have not heard anything about since they stopped filming it. The beach and the small port at Plaka are another nice overnight destination, slightly on the funky not-quite-ready-for-prime-time-tourism side. My plan was to stay the night there but at 6pm it was still about 95 degrees and we drove up the coast instead. We stopped in the small coastal village of Xiropigado and said hi to our pal Sotiris at the Chill Out Cafe (you may remember him from www.greecetravel.com/matt-blog/2008-10-29.htm) and to walk around. It's a nice little place if you can get over the fact that just about every inch of the place is paved and it is a village of apartment buildings. But the beach is nice and there are some promising looking tavernas right on the sea. 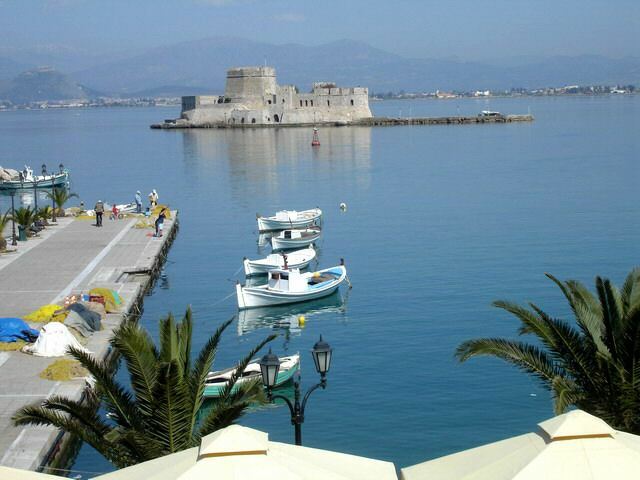 We chose to go all the way to Nafplion and though we turned up without hotel reservations, usually not a good idea there, we found a room at the King Othon (there are 2 and the one on Spiliado street is better than the one on Fragmakopoulou street). By now we realized we were in the hottest part of Greece during a heat wave, which seems to happen to us more often than mere chance would dictate. But after a freezing cold shower we walked to Agnanti, the last restaurant in the port and had an amazing dinner of grilled stuffed sardines, spicy steamed mussels, the best and biggest bowl of gavros marinatos I have ever seen, florina peppers stuffed with cheese and pesto and a cold bottle of something-or-other since they did not have their own wine, or if they did they did not have it on the menu. The restaurant is on the upscale side though not really expensive and the food was excellent. Actually it was recommended by Elias, who for those who have not come across him yet, is the owner of Swift Rent-a-Car in Athens and always knows the best places to eat. Actually I am going to suggest that when he rents out a car he should give a list of restaurants to eat at on the journey. But anyway what makes Agnanti even more special is that the tables and chairs are right on the sea and they have floodlights illuminating it which seems to attract all sorts of fish and interesting sea creatures. When we arrived there was this black thing that looked like a big slow-motion butterfly and two giant grey mullet (kefalo) that kept darting back and forth like barracuda. It made for an entertaining evening which was good because after 10 hours in a car with someone you usually don't have much to say to each other at dinner. 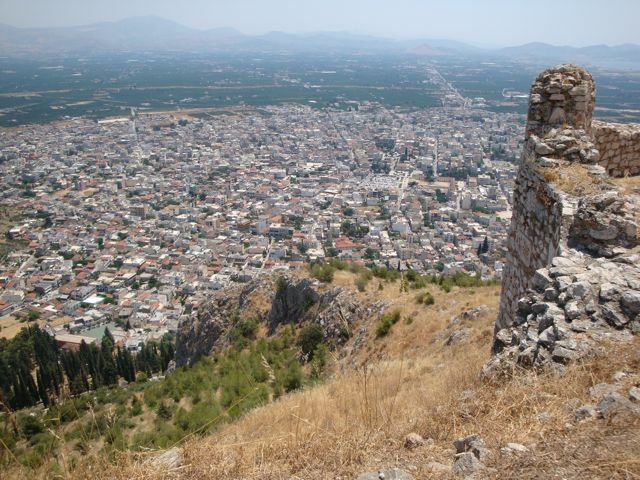 The next day we drove to the Larissa Castle which overlooks the city of Argos and the entire Argolikos Gulf. The view is spectacular but it seems to be one of those archaeological sites that the Greeks have given up on, or never cared much about in the first place. It looked like they had forgotten to pick up the garbage for a couple weeks and the wood scaffolding which was holding up the entrance archway looked almost as old as the castle itself. Argos is an interesting place, a large town of apartment buildings that were they to bulldoze it and excavate, might reveal an entire ancient city. As it is there are sections where the ruins have been exposed though it is not the kind of place you are going to go out of your way to explore. Unless of course you like fish and really good micro-brew beer. For fish there is an area called Neos Keos and one of the best seafood tavernas, called Tsakaris first revealed on my Nafplion restaurant page after a visit there during Easter of 2007. Its on the other side of a small river where all the fishing boats dock. In the morning there is a big fish market here. The Zeos Brewing company makes the best beer in Greece, that I have tasted anyway. I looked all over for the brewery but finally gave up, but for you beer lovers they have a website at www.greekbeer.com and if they can give you directions you should go visit them and take a case or two for the holidays. 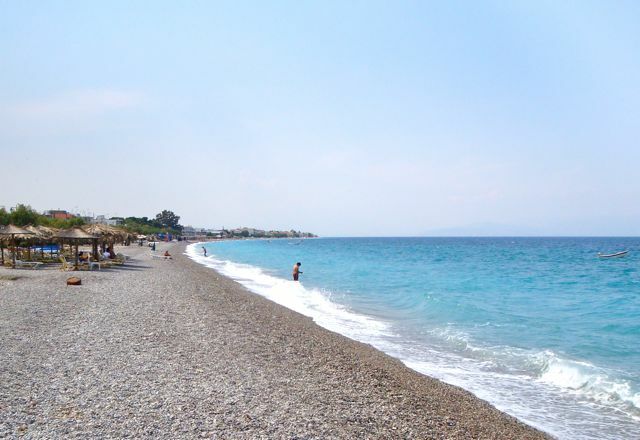 In case I failed to mention it, it was still very hot but as we got closer to the Gulf of Corinth the thermometer started dropping from 38 all the way to 29 when we finally made it through the endless rows of summer houses and reached the sea. We drove west along the coast and stopped at the most likely looking fish taverna to have good food, called Ta Bakaliarakia in the town of Kiato Beach. There were huge gathering clouds and the sea was rough but I managed a short swim before lunch. The food was excellent and the family who ran the restaurant were very nice. There was a young guy who was waiting tables, Emilios was his name I think, who knew every customer and every African CD seller by name. When I went in to pay I noticed a bunch of barnacle encrusted vases and pottery vessels. "These are for catching octopus" he told me. He pulled out his iphone and showed me a video of someone pulling one of these pieces out of the sea and pulling out a huge octopus. "They hide in them because they feel safe." I asked him how many he catches and he told me about 30 kilo. Jesus. If one guy is catching 30 kilo a day what chance do the Octopus of Greece have of surviving? It's too bad they taste so good. Anyway if you can get over your objection to octopus hunting or harvesting or whatever you would call this method, and happen to be on the road from Corinth to Patras, stop at Ta Bakaliarakia for lunch. 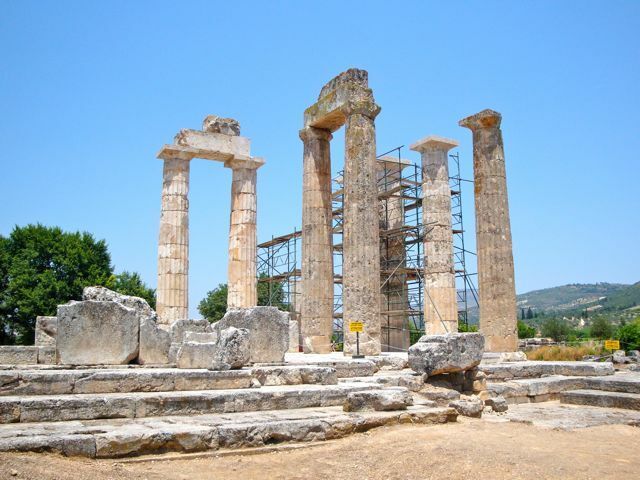 Weekends are big here and you can drive from Loutraki or Corinth in about twenty minutes. I am supposed to go to a wedding tonight in Mati. But the apartment is nice and cool and I really don't feel like leaving Kypseli until we leave for Kea later next week, which will probably be the end of our time in Athens. Maybe a night at Rena's or Alotino is what I need, if only I could convince my non-Kypseli friends that my neighborhood is safe.